I have lived in the Washington Area for almost 20 years now and my jaw dropped to watch my favorite local meteorologist declare with “such certainty” that “Winter is Over” after one period of above average temperatures. I thought to myself… “this is one brave statement to make when April has not arrived”. The image below is from this morning’s GFS operational model which by the way has become even more bullish (since yesterday and the overnight run) with a Nor’easter rolling up the Mid-Atlantic coastline next Sunday. So let’s dig a little deeper into the ensembles (multiple opinions from each operational model) and teleconnections (upper level patterns that one would look for that signals a potential east coast storm). The teleconnections (the North Atlantic Oscillation) would argue that Winter may not be over for the BOS-WASH (Boston to Washington — Northeast corridor). The NAO is one of the more important patterns to watch out for during the second half of Winter. All three models show blocking (negative NAO) over the North Atlantic between the 14th and 20th of March. The European Ensemble builds confidence with a deep trough (image below courtesy weatherbell) moving back into the eastern United States as we head into the upcoming weekend: Much colder air with below average “Winter Temperatures” will be returning during the upcoming weekend. But will it snow? If this one operational run which is now trending towards a deeper and colder solution from yesterday’s run is onto something… then parts of the Mid-Atlantic and New England states would need to watch this upcoming weekend very closely for the potential of heavy wet snow. Canadian shares in the idea of some type of coastal storm riding up the coast with more snow across inland sections of New England and more cold rain across the Mid-Atlantic states. First up European Ensemble – Notice that there is currently no consensus on where the secondary low develops along the coast at this time (the red “L”s are not tightly clustered in one location but are scattered all over the Mid-Atlantic). Next up the GEFS (Global Ensemble Forecast System)– The GFS is a little further east in track of whatever might develop along the coast however the “red numbers” in the map below off of our coastline (representing low pressure locations) are scattered representing little consensus. As we all know, the energy associated with the shortwave that will eventually be responsible for what pans out has not reached the Pacific Northwest coast and until it does, I won’t give too much weight into the current GFS operational models. At this time, some of the individual European Ensembles do show some heavy wet snow in the DC Area while a majority do not. Below average, Winter-like temperatures may return to the Mid-Atlantic and New England during the upcoming weekend. There is the potential for a coastal storm to develop off of the Carolina coast. How much snow (if any) falls will depend of course on exact storm track and how much cold air is in place. 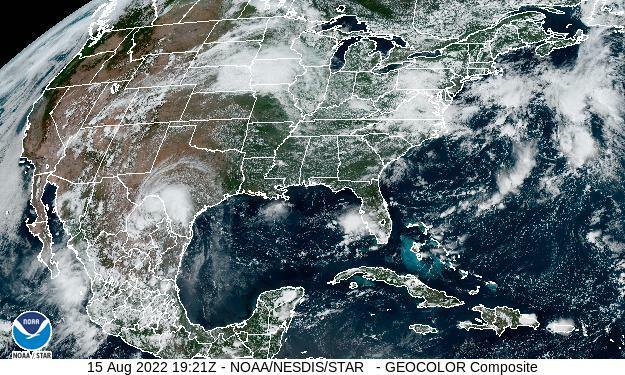 I am not promising a snow storm here in the Washington Area, I am simply stating that the teleconnections indicate that a Nor’easter may develop this weekend. I consider “Winter” to include cold temperatures. So if highs drop back into the 30s/40s this weekend with lows early next week dipping below freezing… I consider that “Winter Weather”. Winter is not over until it’s over and I would have never told the entire Washington Region on the 6 o’clock news that “Winter is Over”. In a certain sense, to say Winter is over going into the 2nd half of March is like shooting fish in a barrel, as significant late March snows in the DC area are relatively rare. But on the other hand, with the pattern flipping back to below normal and probably more than one storm chance, this would not be the time I would be making that type of blatant pontification. 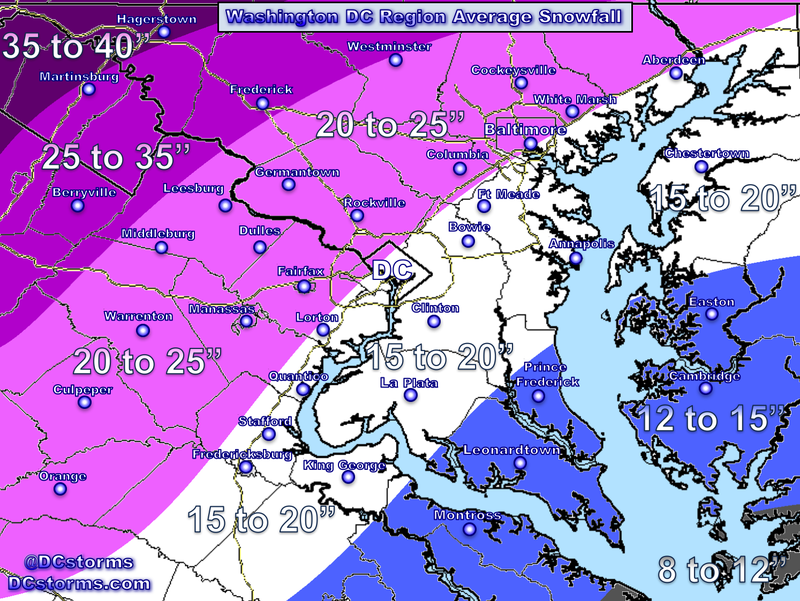 A couple of other significant late snowstorms in DC was 5″ (at National!) on March 30, 1964. Then on April 1, 1924, downtown DC had 5″ with thundersnow. 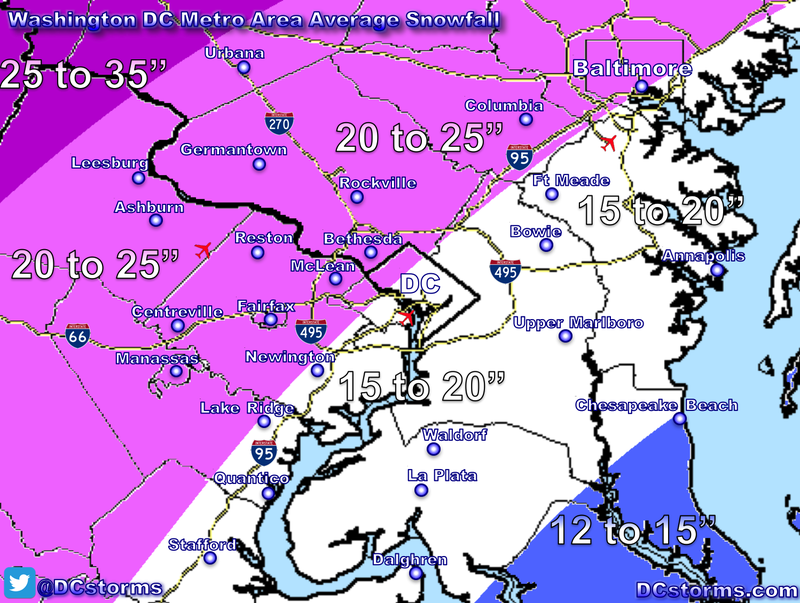 Even close in suburbs like College Park and Silver Spring measured 9″!